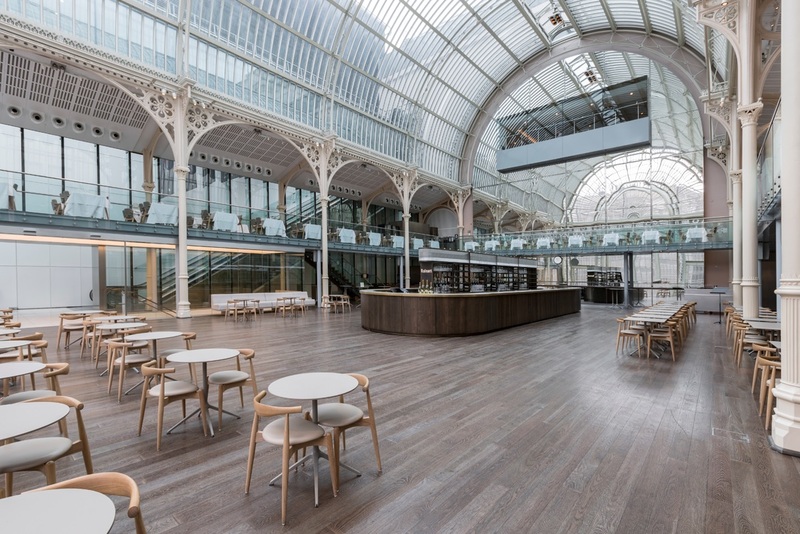 Junckers have provided their beautiful solid hardwood flooring in the Paul Hamlyn Hall at The Royal Opera House in Covent Garden, London. 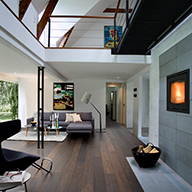 The dark grey ‘Spicy Pepper Oak’ floor is ideal for the light-filled space, adding an elegant backdrop to the interior. Junckers flooring is reliably durable and easy to maintain, as well as being ideal for high traffic areas. 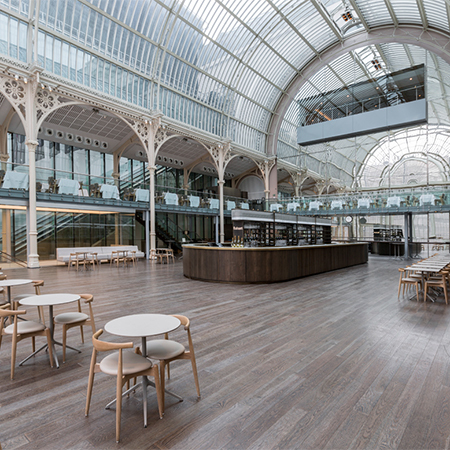 The naturally occurring structural grain patterns in oak bring a sense of warmth to the large and open hall.